Colin Linden’s last performance in Thunder Bay was magical. It was in March of 2014 with Blackie and the Rodeo Kings, a trio of musicians that are every bit as talented as solo acts as they are as a group. The sold out show was a highlight for everyone that attended, so it’s no surprise that there was unanimous agreement among Sleeping Giant Folk Music Society (SGFMS) board members to bring Colin Linden back to Thunder Bay as a solo act. Linden is touring in support of his new album, Rich in Love, which was released on September 25. It’s his first studio recording since From The Water (2009) and features Linden on vocals, guitars, ukuleles and mandolin backed by his band, affectionately known as The Rotting Matadors. The 12 original songs were written by Linden, solo or in tandem with other writers such as his wife Janice Powers (a published novelist), band member John Dymond, and Grammy Award-winners Gary Nicholson and Tom Hambridge. As if those weren’t enough credits, Linden also recorded and produced the album. It’s a stellar piece of work no matter how you slice it, one that is best savoured during life’s quieter moments. “Colin Linden is a musical powerhouse,” says Gill, speaking to the fact that he has been involved in the Canadian and American blues and roots music scenes since he was a teenager and has collaborated with the likes of Emmylou Harris, Bob Dylan, The Band, and Bruce Cockburn. “He is an engaging performer who is equally powerful in both acoustic and electric guitar formats. 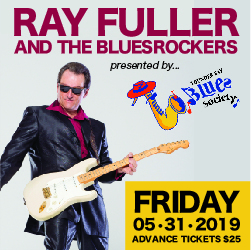 The impression he has made in the music industry over the course of his career is indelible and anyone coming to the show, even those who have not heard him by name will likely recognize his style and vocals,” says Gill. For the 2015-16 season the SGFMS has moved to a new venue, the Polish Hall on Court Street. “It has everything we wanted in a venue: great sound (thanks to our sound technician Dennis Dacey), perfect capacity for our audience size, balcony seating, and lots of free parking. There is bar service in the hall, a coat check and recently renovated washrooms,” says Gill. Colin Linden plays October 24, 8 pm at the Port Arthur Polish Hall, 102 South Court Street. Tickets are $35 advance at Chaltrek and Fireweed; $40 at the door.